We are very thankful for the support from all of our wonderful sponsors who help keep our horses healthy and happy. Read our personal experiences with each product below and click the company logos for more details! To order at the best price, please fill out the Order Form or email nicky@oakwoodmanor.biz. We first began using the FlexiNeb Equine Nebulizer when one of our good open horses developed a respiratory infection. After a thorough diagnosis and treatment plan, we worked closely with the veterinarians at Cornell University to research the best equine nebulizer to use for his treatment. The small particle size produced by the FlexiNeb Equine Nebulizer allows the medications to reach deeper in to the alveoli of the lungs than other nebulizers. After purchasing it, we found that it was simple to use with no hoses and quiet operation. We now use it to nebulize saline before and after our runs to keep our horses feeling and running great. 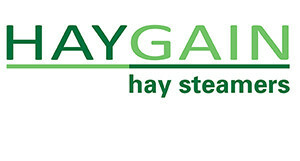 We started using the HayGain Hay Steamer when one of our horses developed a respiratory infection. This led us to doing a lot of research and finding that hay contains a lot of dust, mold and fungal spores, and bacteria. Steaming also reduces simple sugars in hay by up to 25% which is helpful for horses with laminitis, PSSM, and insulin resistance. The steamer is easy to use and all of our horses have loved the steamed hay! We bought the mid sized unit. We use it daily and take it to shows with us as well. This size has worked well for us to be able to feed several horses each feeding. Nexavar LOVES his Comfort Stall!! This stall mat system is second to none! We first saw this flooring system in the recovery stalls at Cornell University. This combination of a soft foam underlayer with a sealed rubber membrane on top is amazing! It provides exceptional cushioning which is great for their joints, provides thermal insulation so the floor is not so hard and cold for them to lie on in the winter, and there are NO shifting mats to deal with! Comfort Stalls are also credited with less dust, lower bedding costs, improved joint and respiratory health, elimination of hock sores and much much more! Contact me today for a price quote on your custom one piece stall mat system! We have fed Poulin Grain for many years. As with any product we use or feed, countless hours went in to researching all aspects of Poulin Grain. We had the opportunity to tour the mill in Newport Vermont where all of the feed is processed and were very impressed with the number of checks and balances that go in to quality control as well as the cleanliness. Their regional representatives are always just a phone call away, as are the veterinarians at Performance Horse Nutrition, who formulate all of their feeds. After developing a relationship with the company and their wonderfully educated support system we started selling Poulin Grain in January 2018. As a FREE service for all Poulin Grain customers, we can complete a forage analysis and use that data to develop personalized diets for each of your animals. Poulin Grain has great product lines for horses, cows, goats, chickens, cats, dogs, and more! Every horse person we know shares three traits . . . we are all busy, we want what is best for our horses, and money is tight! Back On Track has been a fabulous addition to the care routines of our equine athletes. Back On Track holds up very well – my first mesh sheet is over ten years old and still used all the time! Back On Track therapy doesn’t require you to do anything special! You don’t have to run a machine on your horse or even monitor him/her. You simply put it on and go! After seeing the success we had with helping our horses to relax and heal, we finally splurged and tried a HUMAN product! Now we know this is the real deal! Be sure to look into their full line for horses, dogs, and PEOPLE! DAC products are formulated by leading equine nutritionists, Performance Horse Nutrition. It was through our relationship with Dr. Stephen Duren f PHN that we began researching the differences between DAC and other supplement lines. We are pleased to be using DAC products on all of our horses. Our favorites are the Cool Gut which supports the gastric health of our horses who are traveling or stressed in any way and the Oil which helps with overall coat and skin health as well as providing a safe effective fat supplement so we can feed less grain. There are many other products that we use on an individual basis like the Colt Grower, Bloom, and Breeder’s Excel. When we signed on we didn’t anticipate how much we would love the topical product line! Our barn is always stocked with their shampoos, Citronella Fly Spray, Laser Shine, and Tangle Free! Dutton bits and spurs are hand made by Greg Dutton in Los Lunas, New Mexico and they are AMAZING. The quality and workmanship is second to none. Our very favorite bit is the twisted full cheek snaffle. I don’t think a horse has passed through Oakwood Manor without riding in this bit. 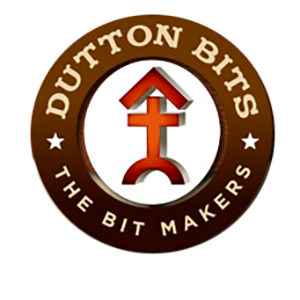 Almost every bit we ride in is made by Dutton Bits and we are proud to sell them. We have also worked closely with Greg to design a few bits and have never been disappointed. Each bit comes with a lifetime guarantee. Please look through the pictures, or contact us if you don’t see what you want. There is nothing he can’t make! I used to wear my helmet for only horses I deemed “helmet-worthy” – those horses that I probably shouldn’t have been riding any way! After a bad accident several years ago that involved a very serious head injury, I have decided to wear a helmet every time I ride. I tried a lot of helmets before choosing the Tipperary helmet. Tipperary helmets are by far the most comfortable that I have ridden in and are very safe! Sasha Kone of Endless Mountain Equine Dentistry takes excellent care of all of our horses’ dental needs. She always shows up with a smile and is kind and gentle. We really appreciate all the work she puts in to continuing education, so she is always up to date on the most current research and techniques. Lanie’s tack is second to NONE!!! 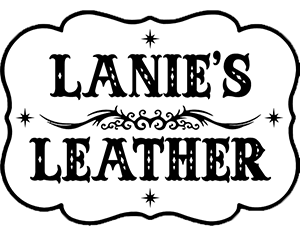 She hand makes all of her beautiful leather bridles, halters, and more and we are proud to be competing and working in her quality equipment. She makes everything leather ranging from work equipment to beautiful unique show bridles and breastcollars. After having dinner and several lengthy conversations with the CEO and Founder of Med Vet Phamaceuticals, Dale Steege, we knew this was a product line we needed to have. 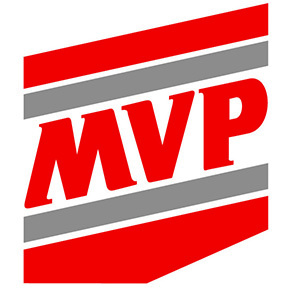 All of the MVP products are scientifically tested and CLINICALLY PROVEN. It was important to us to be able to read the scientific research and guaranteed analysis of their products. This is definitely not a supplement that was “mixed up in someone’s basement” as leading nutritionist Dr Steve Duren recently told us about another leading brand which is very well advertised, but NOT well researched! 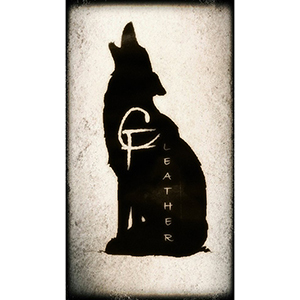 Cynthia Frink with Coyote Fields Leather has been our go-to girl for a variety of needs. Her newest addition of custom hand-made mule tape halters has us excited! She also does beautiful leather work of all kinds and can repair almost anything!